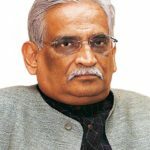 Senior Advocate Rajeev Dhavan, an authority on constitutional law, had sent shockwaves throughout the legal fraternity when he addressed a letter to the Hon’ble Chief Justice Dipak Misra in which he stated that “After the humiliating end to the Delhi case, I have decided to give up court practice”. The background to this was that the Hon’ble Chief Justice had allegedly “humiliated” the eminent Jurist by stating “You go on shouting. You are always like that. We will give our judgment”. Apparently, the Chief Justice was irked at Rajeev Dhavan’s submissions and reprimanded him for raising his voice. “Raising voices will never be tolerated. Argue on legal principles. Raising voice shows incompetency not worthy of senior lawyers,” the learned Chief Justice was reported to have said. “When the Bar fails to regulate them, we will be compelled to regulate,” the learned judge had added. Thankfully, the passage of two weeks’ time has cooled down Rajeev Dhavan’s temper. He has now addressed another letter to the learned Chief Justice by which he has retracted his earlier letter. I write to you again to take back my statement that I would not practice in courts anymore. (c) I owe and have learnt a lot from the Supreme Court and judicial system, including my colleagues, and have not repaid my debt. There are some things fundamentally wrong with the court and its functioning. But I will never abandon my faith in the rule of law for which the entire judiciary including the legal community are custodians for the people. I am saying no more than I have articulated in my modest book The Indian Constitution: Miracle, Surrender, Hope (2017) of which I enclose a copy under separate cover. As the New Year ends each and every trespass must be forgotten and forgiven. The learned jurist stated that “there are some things fundamentally wrong with the court and its’ functioning” though he did not specify what these aspects are. He did, however, assert that he will “never abandon my faith in the rule of law”. 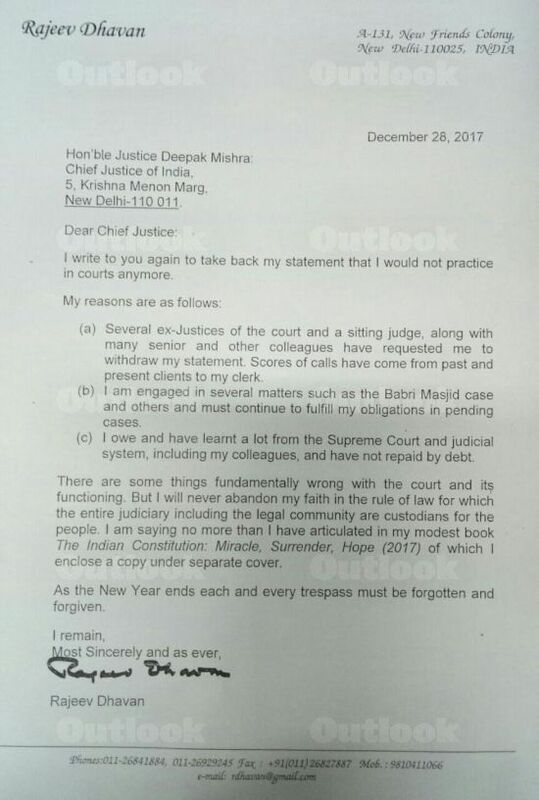 The Jurist also appears to be tendering an apology by stating that “As the New Year ends each and every trespass must be forgotten and forgiven”. Hopefully, there will no more altercations in Court between the Bench and the Bar! Would that mean the senior advocate would not raise voice during court proceedings from year the year 2018 onward?